Whip up your winter fashion wishlist with indie designer styles in any size, cute women’s clothing, wedding dresses, shoes and more! Find the perfect fit with ModCloth’s signature designer line ranging from XXS-4X. Plus, get free returns on all domestic orders. Simply try it, love it, or send it back! Discover an amazing array of vintage inspired dresses, unique clothing & quirky finds! 1. Be the first to know about major deals & exclusive offers. 2. 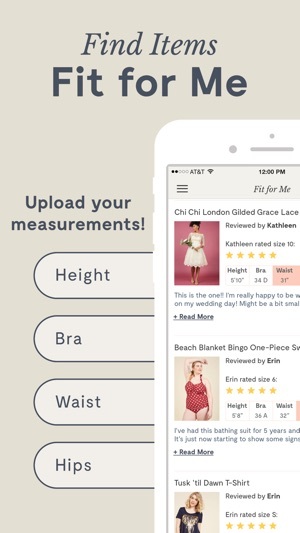 Find styles tailored to your figure by uploading your measurements to Fit For Me. 3. 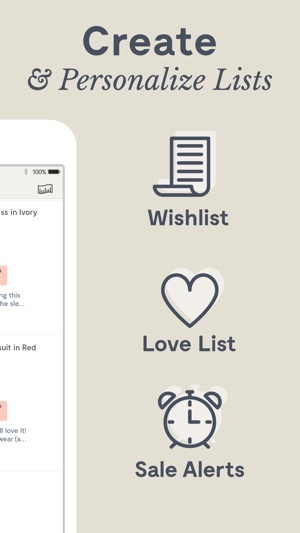 Save your fave items in your Love List and be alerted when they go on sale. 4. 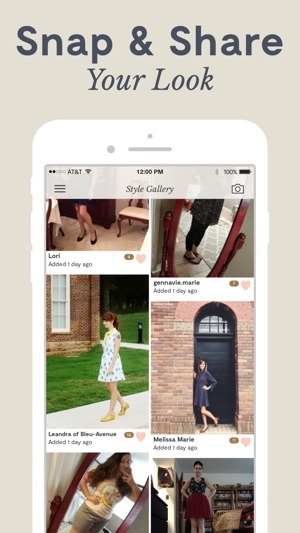 Post your outfit photos in the Style Gallery and product review section. 5. Shop in a snap with fast and secure checkout. Buy the perfect dress for a fall wedding, accessorize with stylish jewelry, check out the latest women’s looks or snag a pair of cute shoes for all-night dancing! ● Fun prints and sophisticated outfits that take you from desk to dinner. ● Cosy separates and cool jewelry for you to mix and match. ● Indie inspired looks perfect for any figure, including plus size. ● Quirky clothes or a great dress for your next big event. Update your wardrobe and find all your fave clothes from your wishlist! From stunning tops to a whole new autumn wardrobe, ModCloth has lots of quirky finds for you to discover. Don’t miss another moment to share, shop, & snag your next fashion obsession. 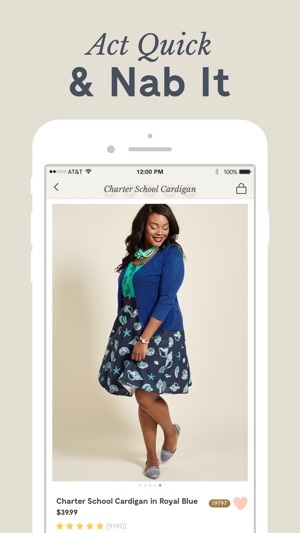 Join the fun & download the ModCloth app now! International shipping is back and better than ever! You can now see prices in your local currency, use local payment methods, and see / pay customs, duties and taxes at checkout. Our favorite destination for retro-chic fashions is now a one-of-a-kind shopping experience on iPhone & iPad. This app has us browsing impeccably curated collections and filling our cart with vintage-styled clothes, shoes, and accessories crafted by independent designers. I ordered two pairs of pants from ModCloth, they shipped fine and arrived on time. One pair fit the other did not. I decided to return the other pair and filled out their return card that asks for info as to why you returned them and how you’d like your refund. I checked the box “store credit” because I was planning to get something else from there instead. So I ship it back and two weeks goes by I hear nothing from them. I finally go on their live chat and ask if they received my return and they say “oh yes we got it last week, but it takes another 5-7 business days to process in our system”. It was frustrating to me that they didn’t at lease send an email with that info so I k ew the status of my return. Fast forward another week and I finally get an email saying they processed My return to be put back on the card of which I purchased. I was so upset because I had asked for a store credit. So now I have to wait another 5-7 business days to receive my money back on my card. I will not be ordering from them again! The whole experience was in professional and for as long as they’ve been around they should be a lot more communicative. I shop ModCloth all the time. There’s a lot of cute things on their site that are actually in my size. But if you have an event you’re looking to get a new outfit for, better order no less than 2 weeks out. Once upon a time there was a choice for shipping. No more. It’s free shipping for orders over $75 and 2 to 5 business days AFTER processing. I had a work event coming up and wanted to have a couple new outfits to choose from. I placed my order June 25th, 11 days before my event. I checked every day and my order remained in the processing state for 3 days. It arrived July 6th, the day after my flight left. The order I placed before that took 9 days. The order before that, also 9 days. To be fair, that 12 day order did fall over a holiday weekend, but with no indication as how long “processing” takes, how could I have known? In general the shipping and handling just takes a long time. By the time I receive my order, I’ve forgotten I’ve submitted it in the first place. Once that’s addressed, 5 stars all the way. Hey there! Thank you for taking the time to leave us this review. I'm so sorry for any disappointment with shipping. We do offer expedited methods, which can be selected in the "Shipping" step of checkout. It will default to the free method, but you can upgrade by editing that shipping section, and choose a quicker speed. Our Customer Care team is always happy to give more info on shipping, and you can reach them at modcloth.com/help. In the meantime, I will absolutely share your feedback regarding that Ground shipping method!